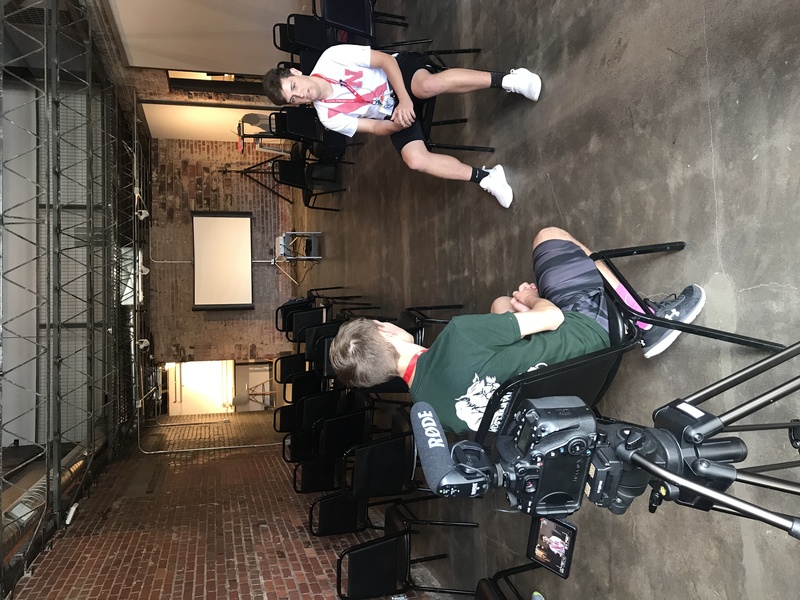 This week, we had ten outstanding students a part of our video track at the Nebraska High School Press Association Journalism Camp. 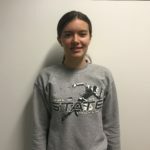 While most of our students focused on shooting and editing video, Elissa Dames focused on writing a recap story and creating social media graphics. 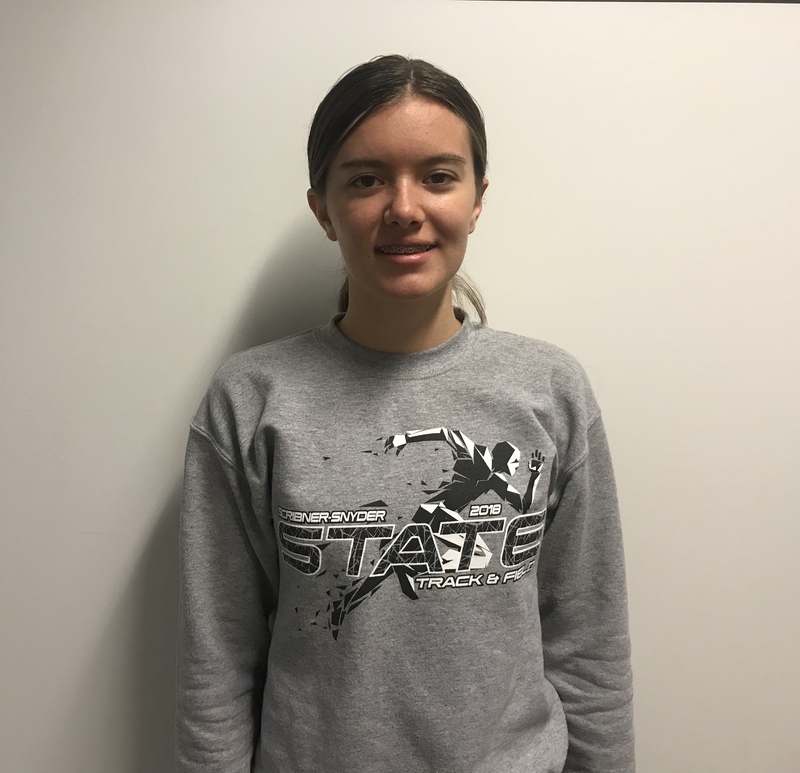 Here’s a look into our three days at Journalism Camp from Elissa’s eyes. A few months ago, I knew absolutely nothing about video, even though I had always been intrigued by the idea of creating a story of my own. 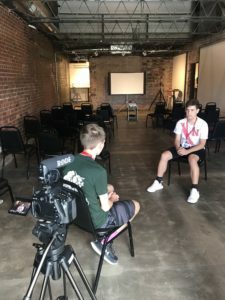 At school, I got the opportunity to experiment with videography by creating short films and broadcasts in my creative writing class. Since then, I have wanted to create and learn more. 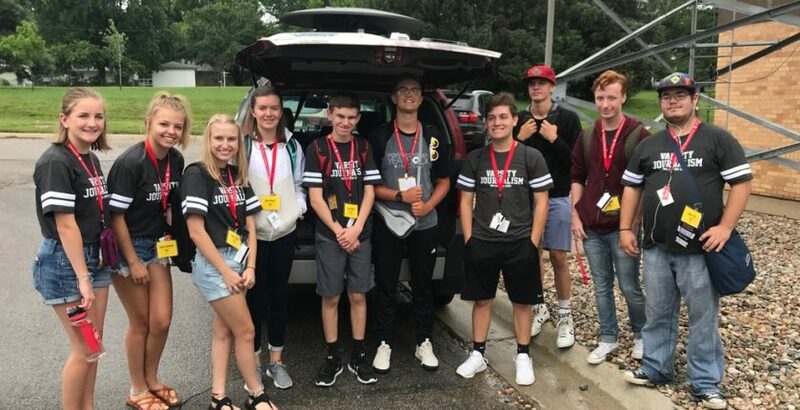 That is why I chose to attend the 2018 Nebraska High School Press Association (NHSPA) Journalism Camp. After weeks of waiting for camp week to arrive, I finally walked through the doors of Abel Hall on Sunday afternoon. By this point, I was feeling nervous, yet excited. Kind of like the first day of high school. Mainly I was worried I didn’t have what it took to be here. I had no idea what to expect and I was terrified of not being prepared. I am a quiet person. At least for the first few days of getting to know me. Being the only person from my school at the video track was daunting. However, when I walked into the first class, I was immediately surrounded by people who wanted to learn. No one was there to brag about their talents or critique everything you do. I felt comfortable in that setting and I wasn’t afraid to open up a little. On the first day, we did a project with the Apple Clips app at The BAY. I had no experience with this app beforehand, so I was figuring it out as I went along. We split into two groups and were given a short, simple script. I got put in a group with two other kids I hardly knew, but we were still able to complete the task. It turned out pretty good, I may add. I loved hearing their ideas about what edits should be made to the video. Working in group projects is something I would like to continue to do. During the camp, we talked a bit about the use of video in society. What’s interesting is that it can be used in so many different fields of work. Knowing how to take an idea, plan it out, and make it a reality is a great skill to have. On the second day of camp, we went on a tour at 1011 NOW (a news channel in Lincoln) studio. Just watching on TV, you have no idea what all happens behind the scenes. It takes multiple people to put on a broadcast. Both in front and behind the camera. One of the topics we discussed was how to set up an interview and make videos interesting. We talked about the importance of lighting, audio, and different angles. What I really enjoyed about the video track was that we made the agenda as we went. Depending on people’s projects or roles at their school, we were able to sit down and work on those specific areas. For me, this was key. My school is very, very small. It is hard to come up with interesting stories or ways to promote events. I ended up getting some advice on how to run social media for journalism. Which for me personally, benefited immensely. The student who used to be in charge of social media at my school just graduated, leaving the role empty. I volunteered to take on this role and I am so thankful the video track not only taught me about video but on social media. I am a sponge when it comes to learning new information. For example, in band, I play the flute, but whenever the percussion practices a line, I find myself replicating it with a pencil on my stand. Knowing that it’s not a surprise that my favorite part of the track was listening to everyone brainstorm and work on their projects. Even though I didn’t edit or film a final video, I still feel like a learned more about the process of making a video. Hearing other schools discuss programs they have and the content they create really inspired me. I even started a list of possible ideas I could incorporate during the school year. Unfortunately, all things come to an end. That sadly includes the NHSPA Journalism Camp. The video track was way more beneficial than I could’ve hoped for. It really gave me a head start for broadcasting and social media at my school. When I return to school in August, I want to take what I learned here at camp and apply it to our journalism program. Hopefully, other people will be inspired in the same way I was.